Bloody brilliant post – you have a real knack for dissecting design and explaining it in simple, clear, visual terms. I wish I had half your skill! What I can’t believe is that they can get away with planters on the highway. 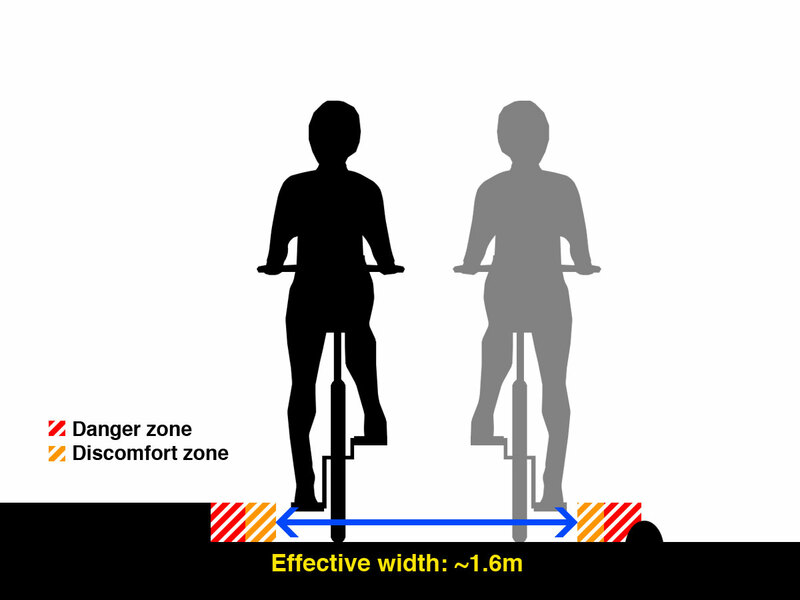 Any other item of street furniture is usually located at least 450mm back from the kerb so it can’t be clipped by passing traffic (bikes or motor vehicles). I would have thought that this design is just asking for damage / personal injury claims. The ambulance chasers must be rubbing their hands with anticipation! Aw shucks! I was worrying for ages that it wasn’t clear, too. Thanks! 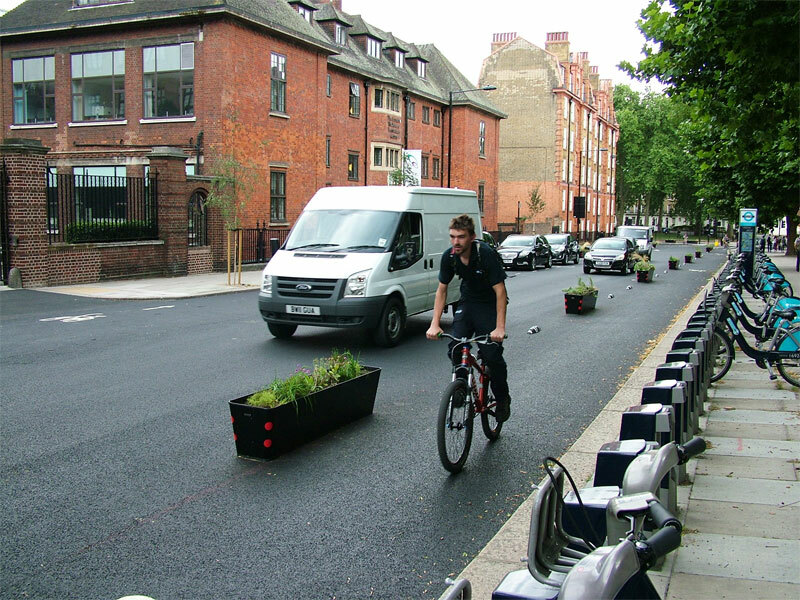 As for the planters, it seems that when it comes to cycling infra we can try out all kinds of zany new things, more exotic the better. Armadillos from Spain? ¡Place an order, amigo! Planters from Vancouver? Why the hell not, eh! But when it comes to proper infra (i.e. that which is made for cars) we’ll stick to what we know, thank you very much. I guess the planters have fallen into the gap here – crazy bike experiment, rubbing up against the real provision. It will be interesting to see how well they fare. One of them has already taken a knock. I suspect they’ll paint a buffer zone or something, should they cause a problem. Vancouver has the right idea about putting the planters on a median dividing cyclists from motor traffic. Heck they’re so civilised that they even installed a protected intersection and is working on the design for another. Ha ha! Recovered from the Twitter debate and flu then? 🙂 Excellent. This gives me the opportunity to continue my whinges. I’m not too bothered about the Dutch or not-Dutch bit, except a) as Mark Wagenbuur pointed out, it is now less Dutch than it was, and b) it’s just symptomatic of slack standards calling it Dutch when it plainly isn’t. Obviously I support your criticism of the bus stops, and the bounding issues you highlight hare also seem perfectly valid. Sorry if this is not adressing the detail of your post, but I have 2 other, general points to make: firstly that any criticism is unwarranted and secondly on what is perceived to “work”. They do rely on your findings though. It was suggested on Twitter that criticism was a bit OTT because there have been few problems in 13 years. That is not the point – why NOT include bus passenger friendly elements when you have the opportunity and the means. 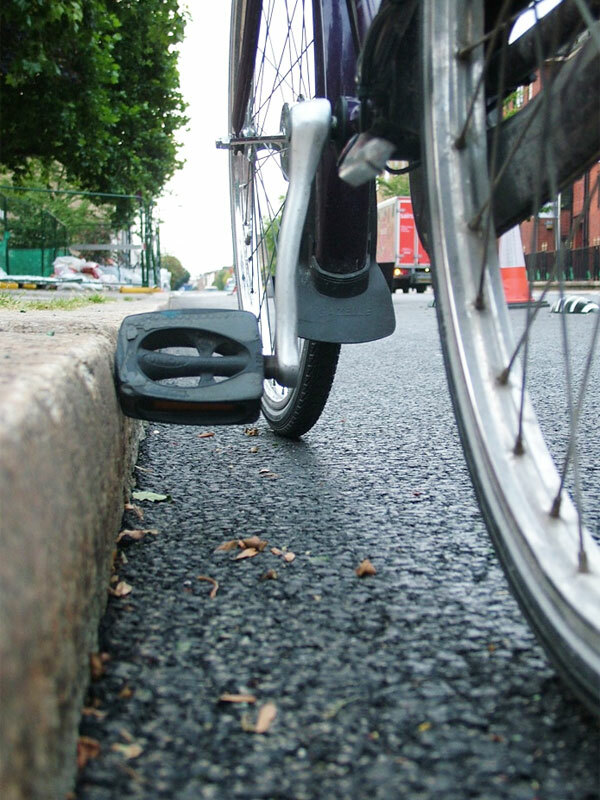 It’s a bit like not putting wheelchair ramps on new builds with the excuse that not many wheelchairs are expected, or, as will resonate wth cyclists, saying there’s no need for paths on, say, a dual carrageway because there aren’t many cyclists. But it’s also a question of building for subjective safety (for bus passengers and pedestrians in this stop case – for cyclists in terms of the “boundary condiitons” of your current post). So I think details such as the design of bus stops and lane boundaries are important – they show how much thought is being given to subjective safety for all users – you build to cater for the most vulnerable first and you pay special attention to the points of most likely conflict, whether or not they are an issue now. In the debate, I kept reading the phrase, “as long as it works” and was given assurances that new RCS “works’. Now call me a pedant, but I don’t define “works” as “I like it”. The new design has simply not gone on enough to assess whether it “works” or not, using quantitative metrics of safety and/or increase in users. Indeed, your current post suggets that problems are already cropping up due to the change in design. However given that RCS is one of the least accident prone streets in the area on the ito map, it is bound to “work” in safety terms. 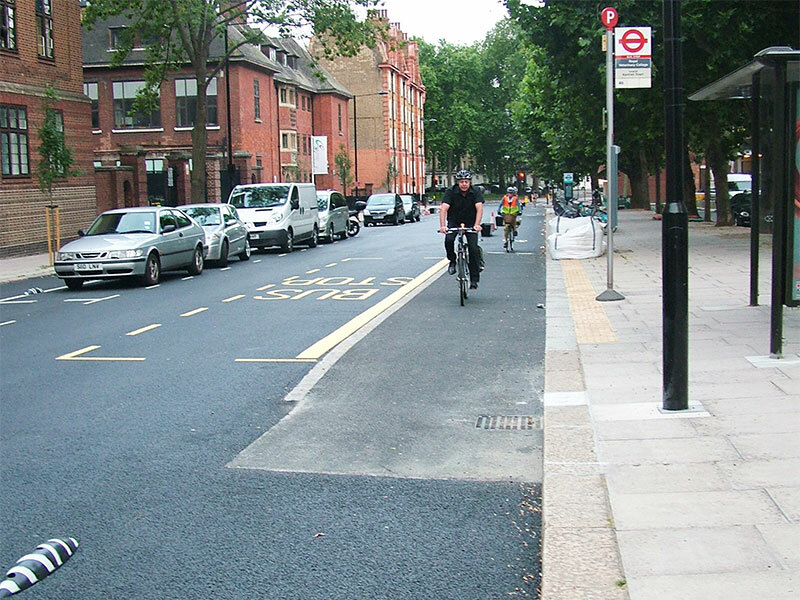 The old quasi-Dutch-style paths seem to have done, so when campaigners pointed out there was a safety problem with the junction with Plender St. (there also seems to be one at Platt St) one is entitled to ask why not just modify those junctions instead of messing about with the whole road. So I expect you and Mark Wagenbuur (among others) as well as myself are all on tenterhooks waiitng for David Arditti’s promised explanation for why the change from quasi-Dutch to less Dutch has been so good, or indeed, necessary. I agree with what you’re saying here – the opportunity was there to do it much better, the space is there too, so it should have been done. Using the excuse “well we’ve had no collisions” isn’t good enough. How do we know there aren’t people getting off a stop early, or even avoiding that bus route altogether, because they feel vulnerable getting off the bus? 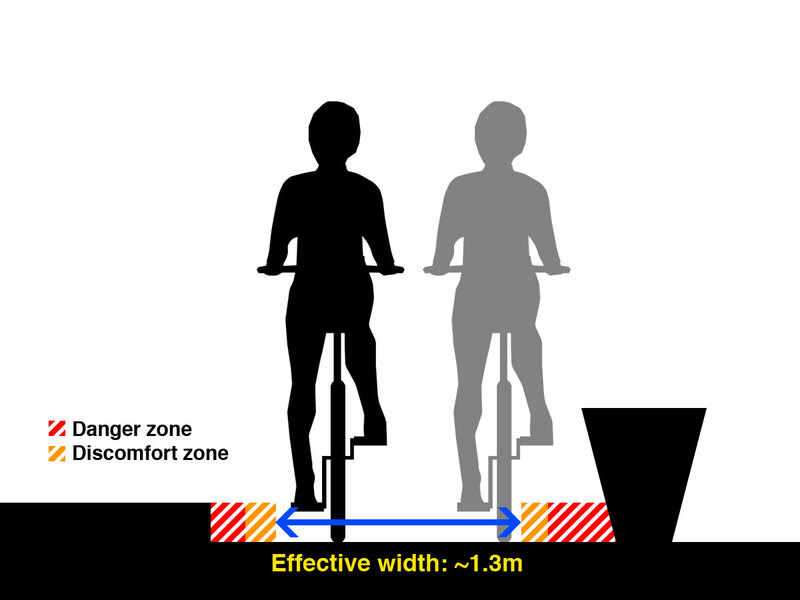 Apparently Camden felt they’d tried everything they could at the junctions, but I never once saw a harsh speed bump (just a mild “speed table”) – you know, the type which you can’t go over fast because they’re so short and steep? But I can see how the two-way nature of the old track could cause drivers to pull out at a bad time. I wonder if they ever considered closing Plender St and Platt St? Or making them entry-only from Royal College Street? Anyway, that’s all moot now, as the old track is gone! I don’t hate the new Royal College Street, I have no grudge against it. But I do think there was a danger of it being touted as “Dutch” when it isn’t (especially the bus stops) and it needs the bad points criticising. There’s more to come! You should get together with a few other people and start an independent certification service for cycling infrastructure. With some swank name and some real PR that might take off and effectively provide the standards that ought to exist but don’t. I quite like the idea of grading things A to E (with an F or U for fail), like at school. Perhaps I need to create some marking guidelines? How can they even call it Dutch when it doesn’t look Dutch? To put it nicely, I’d say it was ‘inspired’ by Danish infrastructure, though with none of the attention to detail.